Finding a job in Korea is not the same as finding a job in your hometown. Although the process may be similar in many aspects, there are subtle differences which can either increase your opportunities for success or make the entire job hunting process a nightmare. This report began as an exercise to improve my chances of landing a job in Korea. Throughout the research process, I was constantly reminded that finding a route into Korea is not an easy journey; it requires hard work, ample planning, dedication and perseverance. This research was based on ten key questions, some of which were related to my unique position, as well as others which were of a general nature. Eight individuals were chosen and agreed to be interviewed and the interviewees came from many different backgrounds, including recruiters, human resource managers and senior executives, as well as successful individuals who have found jobs in Korea. With this wide range of individuals that I interviewed, it is my hope that this report will provide answers which can benefit all foreign job seekers wishing to get a job in Korea. It is well documented that the Korean job market, like all Asian markets, is a very competitive environment. But unlike its neighbours, Korea has a larger percentage of highly educated individuals. Many Korean students are vigorously trained from an early age and are expected to graduate from university with a bachelors or a masters degree, at the minimum. With youth unemployment high amongst Koreans, this makes the task of finding entry level work in Korea even harder. So I asked my interviewees whether education and grade point average are important factors in finding a job. The feelings were mixed, but the general consensus was that it depended on the situation. For example, education boards in Korea have cut-off lines for GPA, as competition in this space is high. The same could be said for certain specialist positions (i.e. lawyers, MBA graduates or engineers), depending on the position and company (Korean conglomerates or large companies). However this is not always the case, as going to a well-known university is what matters the most. It also must be noted that SME’s do not focus on GPA or educational scores, as they will have smaller talent pools to work with. You might say that GPA does not matter a whole lot, but it can boost your prestige when you have a great GPA and you graduated from a well-known Top 100 university. A great piece of advice I was given was if you don’t have a high GPA, don’t worry; find a better way to complement your resume. This includes showing that you attended a good university, as well as highlighting other key achievements in your academic career. The prestige of attending a well-known university will always come ahead of having a great GPA. If you have completed the Korean Business Culture Fundamentals Specialization of the KBC Professional Certification Program, you will be familiar with the term “woori” (“us”). In Korean culture, as well as in wider Korean society, this is very important, and so you will always come face-to-face with elements of Korean culture in business circles. This means that if you want an edge in doing business with Korean firms, you must understand the culture. The KBC Professional Certification Program is a great way to achieve this, so spend the time and invest in studying the program and getting certified. In Korean firms, particular attention is paid to how well you fit into the organization, and so knowing or being aware of Korean business culture is a must. Understanding that culture is important, do you need to have certain characteristics or personality type to succeed? The answer to that question from my interviewees was a resounding “yes”. Personality matters, but according to my interviewees, there is no “right” personality or personality type. They reckon that having certain qualities can allow you to succeed in this kind of environment. Traits such as loyalty, humility, respect, obedience, and an understanding of Korean culture are very important traits to have. Experienced executive recruiter William Sisson has seen many candidates dropped due to one or several of the following twelve scenarios. The candidate seemed arrogant, boisterous and excessively proud. The candidate was unwilling to produce evidence of current or past compensation and other records or documentation. The candidate did not show humility. The candidate was loud, overbearing and unprofessional. The candidate seemed to not “fit into the company culture” or was unable to get along with co-workers. The candidate seemed or acted too young (immature) or too old (based on the direct report’s age). The candidate had visual tattoos, piercings or other unique appearances. The candidate had no knowledge of Korea or its culture and past history . The candidate was clueless about global current affairs, especially pertaining to Korea and Korean companies (i.e. the Samsung vs. Apple case). The candidate had no knowledge of the company’s past or current history, products, growth, executives, markets, etc. However, possessing the right character traits can give you an edge over your competition. Traits such as being positive, problem solving, friendly, humble, obedient and having good interpersonal skills, especially communication skills due to the language barrier. You must be aware that the evaluation of your personality begins at the communications stage, so always be professional in your communications, from emails to phone calls, even with lower-level members of the staff at the front desk. According to Jamie Lee, as an experienced recruiter she has seen many hiring managers ask their front desk staff to give a few evaluation points about potential candidates. Thus, in her opinion, first impressions always matter in Korea, as you will be judged by them. Getting noticed in a crowded job market, especially when many foreigners are trying to find jobs abroad, is a very important advantage to have. Getting noticed by Korean companies is not as hard as you might think, provided you understand the Korean job market. The key to the Korean job market is having the ability to demonstrate skills that are different from the competition and being part of the “5%” who can network effectively. Knowing someone in the firm, according to Jamie Lee, is a great route. This also includes knowing international recruiters, as they can also help you skip the screening step. Networking is important, as you can get personal introductions which open doors to jobs hidden from most job seekers in Korea. To stand out so that hiring managers notice you means that you must take a proactive approach to building your network and displaying skills that are different from other candidates, especially Korean locals. Kristen Chen gives a great example of skills to have, especially for sales and marketing positions, based on her experience in landing a job in Korea. She mentions skills, like being trilingual or having a strong technical background knowledge for an engineering position. Having specialized knowledge of an overseas market that a company may seek to expand into is another advantage that you can have over others. Being able to speak up and tell your story in a way that “sells” you as a potential candidate is crucial, especially when applying to big corporations. Having these skills is always important, as you need to remain creative, open, unique and persistent in your approach when job searching in Korea. As stated in the previous section, networking is a powerful key to success in Korea. Many job openings for non-Koreans are rarely advertised or published. Therefore it’s important to have a network that can lead to personal introductions which unlock hidden opportunities. Korea Business Central is a great place to start building your network, as well as places like LinkedIn and Twitter. Michal Sal, a recruiter at LS Industrial Systems, gave great advice when he said that it’s important who you let know of your talent, as well as your openness for a new position. Maintaining a network is hard work and time consuming, but it is necessary to survive. Going to gatherings of professionals is a great way to expand your network. For those of you who are new in Korea, attending foreign gatherings like Linked Seoul is a better way to start expanding your Korean network. This means you have to be patient because finding a job is a complex task. You need to plan multiple angles of attack in the job market and to communicate frequently with your network for new opportunities. Leveraging your network requires you to follow your instinct; communicating frequently is good but don’t be a stalker or a beggar. Always be professional, as you never know who is assessing you. This includes your social network posts and face-to-face interactions. It is important to remember that maintaining your network is a two-way street; by always offering to help whenever possible, you in turn maintain the connections you have with others. In Korea, positions for Korean locals are filled according to a systematic and pre-established schedule. But for foreigner positions or hires, things are done in a haphazard way and greatly depend on whatever approach the hiring person chooses to take. Some hiring managers post direct messages (This includes on KBC.) to people who they believe might know someone in the field they are hiring. They might also post jobs to Twitter, Facebook, LinkedIn and any forum or jobs board they can get a hold of, not to mention recruiting websites. Most large corporations use international head hunters (recruiters) to find and fill certain positions within their organizations. Thus, for an individual searching for a job, not only must they be proactive in using and participating in all these areas mentioned, but they also must actively seek to be headhunted by recruiters. This includes getting face-to-face interviews with recruiters; otherwise, your resume ends up floating in a file full of competitors when just submitted remotely. Gaining experience and talent in your local market might benefit a Korean company looking to penetrate and build its overseas market share in your home country. If you are fluent in Korean, then perhaps you will be considered to be transferred to work at headquarters in Korea, within the Overseas Business Planning Department. Thus always look to position yourself at a point of advantage, especially where you can display your valuable skills. Finally, always remember to “play nice” when posting on professional networks like Korea Business Central or LinkedIn, as managers and connected people evaluate your actions. Commonly what is used in Korea is a resume, the reason being that it is shorter and less detailed than a curriculum vitae. This makes it easier for candidates to focus on the important and relevant information, especially when it comes to listing work experience. Although style and format may differ from company to company, especially the large conglomerates which tend to use predetermined forms, you must note that some firms may require a resume translated into Korean. However it is fair to use your instincts in determining whether to send in a Korean resume together with your English resume in other cases. Errors, spelling and grammar checks are important to fix, especially if English is your native language, as a resume is one of the first points of contact. Failure to do so can make a bad impression of you on those who are reading your resume. Finally the way you look or present yourself in Korea is very important. Therefore having a professional photograph helps, as many companies will hire individuals because they “look right”. Having an expected salary section within your resume is a great way to attract the attention of Korean companies. According to my sources, many Korean firms don’t hire foreign individuals because they feel that hiring an expatriate or foreigner can be expensive. Those familiar with the ESL industry as well as High Level professional expatriates will know that housing, air tickets and other perks come as standard. Therefore you need step back and think carefully about what perks you’re expecting when searching for work in your industry, especially when the market has many individuals looking for work. One tip to note when thinking about this is to be aware that housing in Korea especially Seoul can be very expensive therefore research is important. Once you have a thoroughly researched this topic offering to negotiate your salary based on Korean local standards, as well as showing that you expect no special treatment makes it easier for Korean firms to notice your application and this can give you an added advantage. Looking at Worldsalaries.org is a good place to start your search in finding out the average salary of Koreans in your field of expertise. Like all aspects of the job search, it takes time to research the salary range of the company but this can help in the long run. If you were to generalize the Korean market and narrow down the types of questions which are normally asked of individuals applying to Korean firms, you would find that most questions are probably universal. The reason is that most of these questions check your leadership, communication skills, adaptability, and understanding of the role. They may include questions like the following. Tell me about your understanding of the position and what skills are required. Tell me about a problem you had in the office and how you overcame it. Do you work well under pressure? Give us an example? Will you stay here long-term? Can you perform the tasks required of you? A popular question that you can always expect to be asked is “Why did you choose to work in Korea?” or “What made you come to Korea?” These questions may come out of the blue and candidates can sometimes be confused by them. However a good hiring manager uses them to understand the commitment level of the candidate and to see how prepared he or she is. The types of questions asked depends on the job, but at an entry-level office position for a foreign candidate, the questions are likely to be more personal than job specific. Based on this, I asked each of my interviewees to list five tips that would help candidates prepare for any interview in Korea. My tip on interviews is to “Practice, Practice, and Practice” some more. Ask your recruiter to provide you with a Q&A, as well as do’s and don’ts for interviews. Be prepared to ask your interviewer questions. Do your homework on the salary so you know how to negotiate when the time comes. Get ready to be asked personal questions, such as: What is your father’s occupation? Are you married? and so on. Be ready to persuade the interviewer that you are not another foreigner who will ride and jump, as this is often a recruiter’s biggest fear. If they don’t hire you, it’s their loss. Be calm but confident when speaking. Sleep well the night before the interview. Arrive early, give yourself plenty of time; never be late on the day of interview. Try to not to show that you are nervous. Be sure of your answers. Do not hesitate in answering personal questions. This is not the Western world. It is important as a job seeker to be aware of the hiring trends within the country you are searching. It is no good being a highly skilled Ph.D. professor with more than twenty-five years of experience if you specialize in Gaelic language training and are looking for a job in Korea. Knowing your environment is important, and this is true of Korea as it has its own trends in hiring in several key industries. According to my interviewees, the answers to these questions differed by individual but on the whole painted a great picture of understanding. Korea is mostly known for hiring in several areas, this being information technology, education, engineering, overseas marketing and sales and business development. Thus candidates need to be aware of their skills in order to fit into the right industries, especially if they want to cross over. Language skills, understanding of foreign markets, as well as certifications, are all important in aiding individuals who lack work experience. Candidates must also be aware that large companies during spring and summer will recruit large numbers of Korean graduates with little or no working experience. This question is one of the hardest barriers to overcome as a candidate who is a fresh graduate and feels that he or she lacks work experience. However in Korea, like any country, the process of solving this problem is the same. Any volunteer experience at a community center or Sunday school, leadership experience such as working as a football coach in high school, working as a librarian or tutoring can be added to your resume and considered in many cases as adequate enough. But you must be careful of what work experience you add, as working at a bar or as a DJ at a club can get you removed from the potential list of candidates by managers in Korea. This is due to the negative view of clubs and bars in Korean society. In Korea, gaining a certification is important, especially if you don’t have experience, as most good certifications prepare individuals for the working environment. Including part-time job experiences, extracurricular and or volunteering experiences in the resume will often give the recruiters an idea of what kind of transferable skills a candidate may have, and this can usually make up for the lack of work experience. Having some knowledge of Korean will take you very far in your career development as language skills are important when finding work in Korea. You should be open to the idea of working first as an intern with low pay for two months, for example, and then applying for a full-time position with modest pay. The key here is to remember to balance you expectations and requirements; don’t settle for pay that is too low unless you are willing and able to shoulder your own expenses. Finally, proving that you have the personality traits to succeed and showing your motivation to work for a specific company, as well as showing that you want to work in Korea will get you a long way. There is a Korean saying for salarymen, “leave your gallbladder at home when you go to work”. Even though it is hard to translate this saying into English, you can still see the point of the saying. Having a social life and working in Korea is difficult. However this doesn’t really apply to international firms or teaching positions, but for Korean firms you will often see staff not being able to leave the office because their supervisor is still working. They are careful to ask for leave due to the thought that not using all their leave is a sign of being loyal to the company. Korean work culture is influenced by Confucianism so the work environment is usually family-like, and to maintain this family-like work environment, company activities are arranged regularly to motivate employees (In Korea this is called “membership training”). You must also be aware that a Korean firm, like Korean society, is hierarchical, so the management decision process is highly centralized. However this can also depend on each company’s corporate culture and so there will be differences in terms of actual working environments. Of course, no matter where you are coming from, you need to be prepared to work hard as your fellow Korean colleagues, who are diligent and hard working. Finally, one last thing to remember is that even though the job may say it only requires English, there are times and situations, like large meetings, where Korean will be spoken, so it is advised that you start learning some Korean as soon as possible. That last piece of great advice brings us to the conclusion of this report. Finding a job anywhere is a difficult task on its own. Finding a job in an Asian country is even harder. But finding a job in Korea as a foreigner is almost impossible if you don’t take time to educate yourself on the market situation. By educating yourself on the market you make it easier for the hiring manager to see your potential. In Korea, understanding the business culture goes a long way toward showing that you are committed to the company and that you can fit into the corporate culture. My hope is that this report will help you on the road to being educated in finding a job in the Korean market. Let this report be a starting point as it guides you and inspires you to create your own unique plan and pathway to developing a career in Korea. 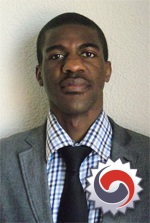 Jared Muloongo is a recent college graduate from the University of Witwatersrand in South Africa. With a major in International Relations and Politics, Jared is also a KBC Certified Business Professsional and worked as an intern on KBC from July through early October 2012. Jared hopes that this report is helpful to members of and visitors to Korea Business Central and he welcomes inquiries and networking opportunities from members, recruiters and others serious about Korean business. This guide is for anyone seeking a career in Korea, whether a fresh graduate or an experienced executive. A special “Thank you” goes out to all those involved in the project: Mr. Steven Bammel, Ms. Jamie Lee, Ms. Kristin Lee, Mr. William Sisson, Mr. Juan B. Aguilar, Mr. Michal Sal and several anonymous contributors. Without you, this report would not exist. Thank you for your patience and kindness towards me. Jamie Lee (Reporter) Currently co-owns Koreaconnections Employment Ltd. connecting people and businesses through to and out of Korea with experience in the Education and Pharmaceutical sectors.On the side she is currently working as a freelance reporter for Arirang Radio promoting Korea to the world and consultant in Global Marketing for a Korean Mens Fashion brand Cnyttan. Michal Sal (Global recruiter) Currently working at HR department at the leading electric power equipment manufacturing corporation in Korea.With broad academic background from top universities in Czech Republic and Korea, proficiency in numerous languages (Korean, English, Czech / Slovak, Polish), extensive overseas experience and networking skills I am aiming to become a global business expert. William Sisson (Executive recruiter and KBC Expert) For more information on William Sisson visit our Expert Corner where William gives expert advice on getting a job in Korea. … and several anonymous contributors, too!